The Erie's "freight bypass" north of Warren (the former Atlantic & Great Western mainline) had seen much better days when this Conrail-era slide was taken. Looking east towards the crossing with the Baltimore & Ohio's Lake Subdivision to Painesville, the interlocking is still active but the weeds are starting to take over; the B&O's tracks are barely visible just past the first set of signals. In the distance around the curve is what remains of the crossing of the Pennsylvania's Erie & Ashtabula branch. This was one of the most heavily industrialized parts of Warren outside of the steel mill district. 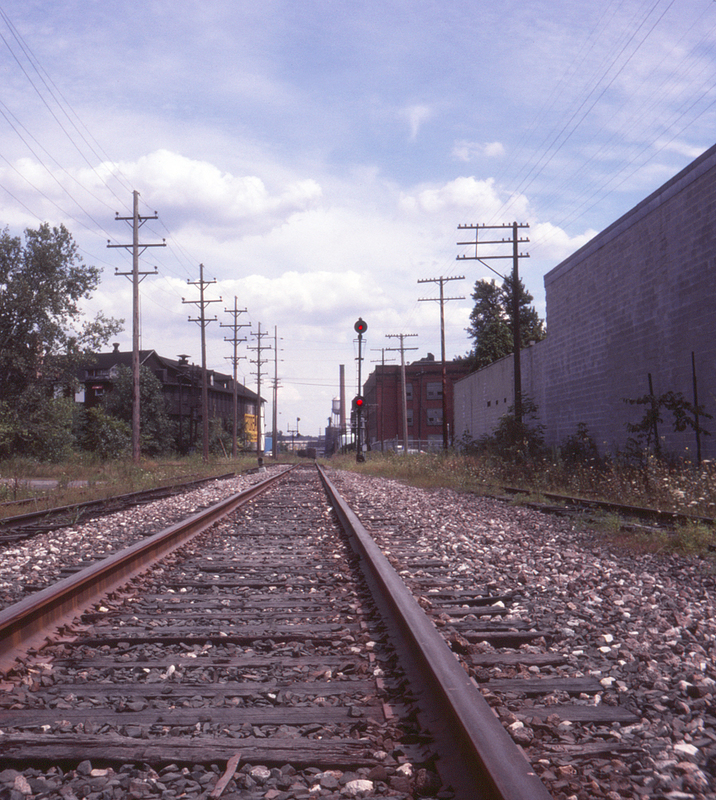 The widely-spaced searchlight targets for interlocking signals were a trademark of the Erie in post-semaphore years; this photographer has seen these elsewhere only on parts of the Union Pacific.